“French class?” I asked reflexively, dumbly, before I could help myself. Melt the butter in a large pot over low heat. Add the marshmallows and stir until melted. Remove from heat and mix in Rice Krispies. 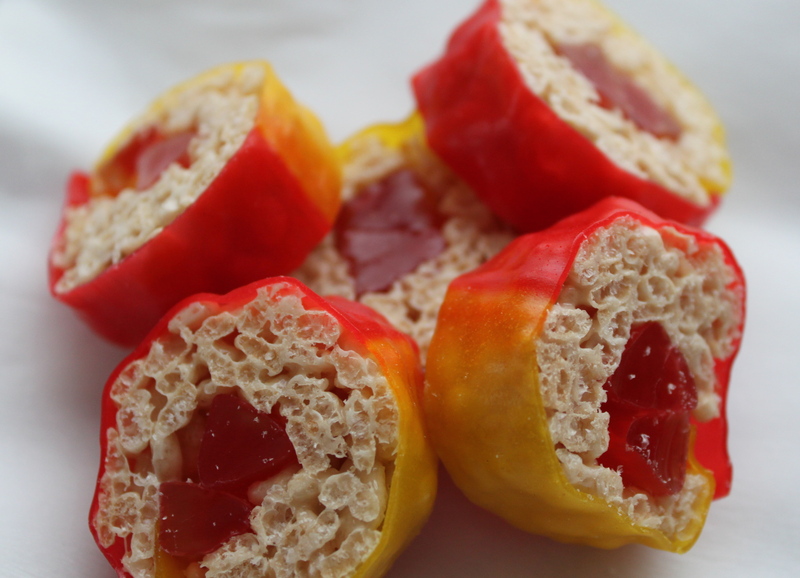 Spread a layer of warm Rice Krispies on a Fruit Rollup, place one or two gummi worms in the middle and roll tightly. Refrigerate until cold. Slice and enjoy. You forgot tranquilizers. Where do you add the tranquilizers? I need to know soonish, as my daughters have a playdate planned this weekend. there is a simple explanation why we needed to make food for french class.